Can you tell me some people that do modern dance ? 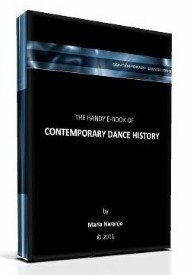 As you might know, there are many styles of modern dance and modern dancers exist since the beginning of the XXth century. Now, if what you want to know is people that practice modern dance styles nowadays, you can search for them in the web, using our page about modern dance history as a guide. You will see that there are companies and institutions like the Isadora Duncan Foundation, The Alvin Ailey Dance Company and many others like those. I hope this is enough. However, don't hesitate to reply in this same thread if you need help to find more specific information. I'll be glad to help you out.